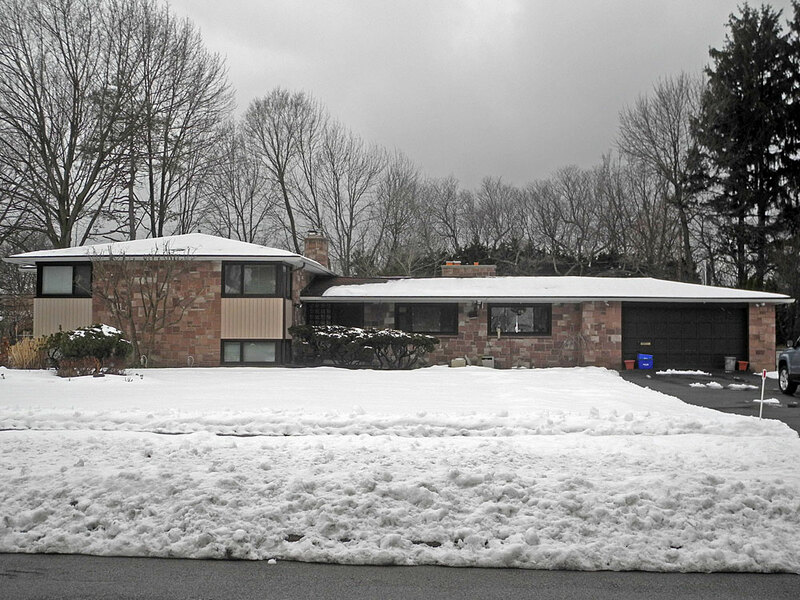 Hershey received the Blue Ribbon Award, NYS Central Chapter in1949 for this home. Annie says her aunt and uncle lived here and that the wood walls bend around corners, and has a sunken living room. Master bath was pale peach with large dark green tiles and an all glassed-in shower. Click here to view photos of the installation of a pool at a house on Council Rock Avenue c. 1954.